The opinions are split on mint, some people find it to be very easy to grow, while others find it challenging. Both opinions are based on the fact that it grows quickly and can survive in poor soil better than most other perennials. 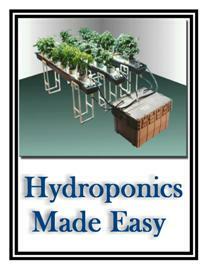 For the gardener who doesn’t want to put much time into growing herbs, this makes it easy. However because of its quick and easy growth, it can take over a garden if it is not dealt with properly. For a beginning gardener, the best advice on how to grow your own mint is to keep it in its own pot. This controls the spread of the herb, and keeping fertilizer to a minimum will help to keep it under control. If you want to know how to grow your own mint, you have to decide how you want to get started. Since it can be difficult and time consuming to grow it from seed, it is better to get a start from a nursery or one of your gardener friends. You simply need to cut a large piece off a thriving plant and then replant it in your pot. This is the same way to transfer your own mint to another area of your garden. It quickly re-grows itself and begins to thrive. As you may have realized, this is one herb that can grow almost any place you want to plant it. The soil does not need to be especially fertile or loamy. The main thing it needs is water, and if it is kept moist it will grow and grow. Simply set up a weekly watering schedule, and if you need to give it a little extra water, you can easily do so. Mint grows well in shady spots, so it can grow near taller plants that block the sun some of the time. You can also grow it indoors on the windowsill. In addition to knowing how to grow your own mint, you will want to know the best way to harvest it. Harvesting early on a dry day in late summer is the prime time to gather it. Too much sunlight or rain will cause it to lose some of the oils that contribute to its taste, so don’t do it in bad weather. Another note for getting the best flavor is to be sure to gather it before the flowers get much of a chance to grow. When the flowers are blooming, the plant must devote energy to growing them, so the edible parts exhibit less flavor at that time.